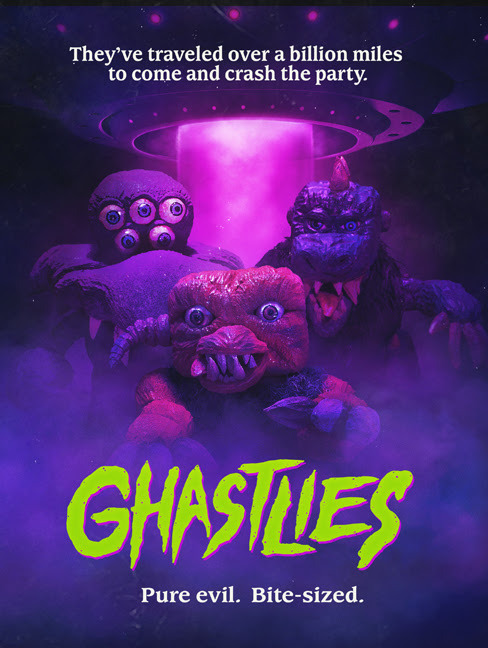 Executive Produced by Camp Motion Pictures owner Michael Raso and directed by genre stalwart Brett Kelly, GHASTLIES is a practical- FX-laden nod to small creature movies of the 80s with enough genuine scares to make even a seasoned horror fan check under the bed! Camp Motion Pictures is proud to bring GHASTLIES to home entertainment as a DVD/Blu-Ray combo with double-sided wrap and loaded with extras. Below we have the official poster, trailer and if you like what you see, pre-order details below. GHASTLIES will hit home entertainment 11th November 2017 in both Blu-Ray / DVD combo and HD digital formats.